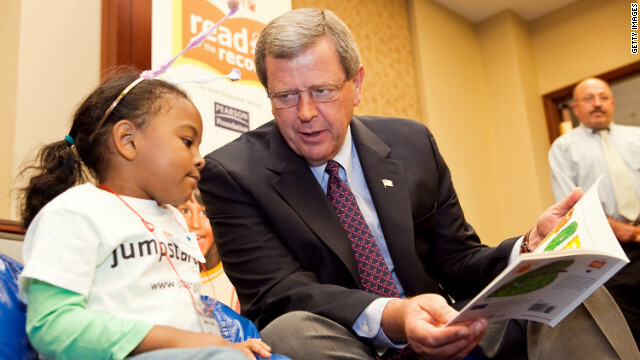 (CNN) - Republican Rep. Tom Latham is mulling a run for Senate in Iowa to replace retiring Democrat Tom Harkin, but cautioned that "it's way early" to announce any decision. Latham told reporters that fellow Iowa GOP Rep. Steve King's decision on whether he'll run for the seat will have no impact on his own deliberations. 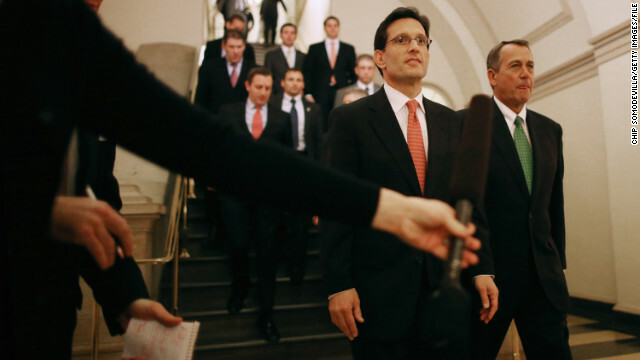 Washington (CNN) - House Majority Leader Eric Cantor is giving the Republican party a message makeover. In a sharp departure from the GOP's emphasis on slashing federal spending, bringing down the deficit and moving legislation to assist the "job creators," the No. 2 House Republican is rolling out a more personal appeal in a speech on Tuesday with an agenda to "make life work." (CNN) – Democratic Sen. Robert Menendez, in an exclusive television interview with CNN on Monday, denied claims that he had engaged in parties with prostitutes during trips to the Dominican Republic. "The bottom line is all those smears are absolutely false," Menendez told CNN Chief Congressional Correspondent Dana Bash on Capitol Hill. 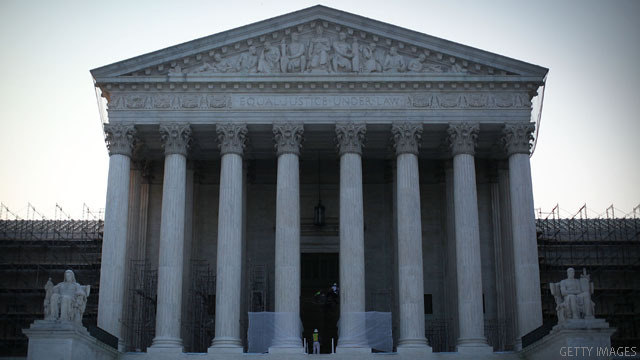 Washington (CNN) - The Supreme Court has been asked to take emergency action over the validity of President Barack Obama's appointments to an independent agency, which were struck down by a lower court as an unconstitutional use of executive power. The case sets up a potential high-stakes fight between the executive and legislative branches over so-called recess appointments, a common tactic used by Democratic and Republican administrations to temporarily put people in jobs without Senate confirmation. CNN's GUT CHECK | for February 4, 2013 | 5 p.m.
Washington (CNN) - Despite his sharp criticism of cabinet nominee Chuck Hagel, Sen. John McCain said Monday he would oppose any effort by his colleagues to block an up-or-down vote on President Obama's pick to run the Department of Defense. 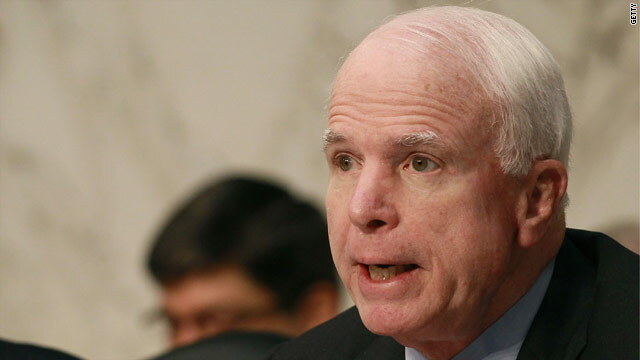 "I do not support a filibuster," McCain said. "I don't think it's appropriate and I would oppose such a move." 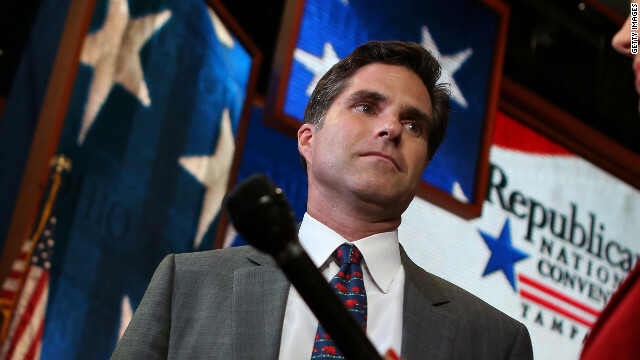 (CNN) - Tagg Romney, the son of former Republican presidential nominee Mitt Romney, announced Monday that he will not run for the special Senate election in Massachusetts. 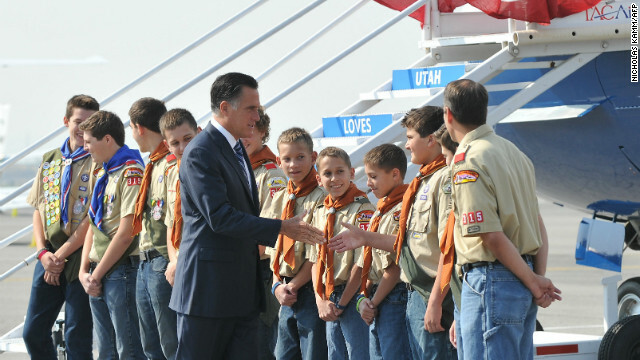 "The timing is not right for me, but I am hopeful that the people of Massachusetts will select someone of great integrity, vision, and compassion as our next US Senator," Romney, 42, said in a statement. 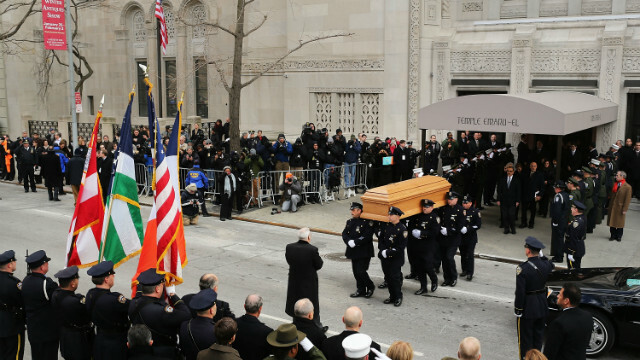 New York (CNN) - An organ played "New York, New York" as pallbearers - from the New York City Police Department - carried the simple wooden casket with a Star of David through hundreds of admirers, friends, family members and dignitaries, and out of the Temple Emanu-El in Manhattan on Monday to lay to rest the city's brash and outspoken three-term former mayor, Ed Koch, who died of congestive heart failure on Friday. (CNN) – A woman accused of being a prostitute involved with U.S. Sen. Robert Menendez denied those claims in a Spanish-language interview released Monday. The woman, identified as 21-year-old Yaneisi Fernandez, says she's never met Menendez or worked as a prostitute.